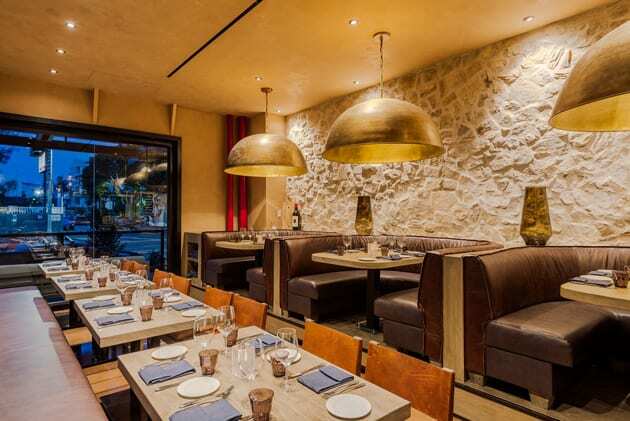 Tucked away in the Beverly Grove area of Los Angeles on Third Street is a newly appointed culinary find. Welcome to No. 10 Restaurant, an upscale Italian eatery that is both chic, and eclectic in its culinary offerings. Entering, you are welcomed into a modern vibe, with a variety of taste sensations that reflect the expertise of restaurateur Emanuele Romani and Italian football legend Alessandro Del Piero. And what life he has led! Alessandro was born in Conegliano, Italy on November 9, 1974. He is a FIFA World Cup Winner in 2006 with Italy’s National Team. He began playing football for the local youth club of San Vendemiano at nine years old. When he was 13, he was selected to play for Padova’s youth team and played his first professional game at the age of 16. At 18 he was picked up by Juventus where he played for 19 consecutive seasons, serving eleven of those seasons as a captain. He currently holds the record for most appearances (705) and goals scored (290) by a Juventus player. For almost two decades, he had the prestigious honor of wearing the number 10 for Juventus and was the first club player to have his name matched with that shirt. He also played two seasons with Sydney FC and one season with the Delhi Dynamos, always wearing the number 10. No doubt, his athletic accomplishments, and international acclaim will serve him well in the competitive culinary world. While living and traveling extensively around Italy, Alessandro discovered different regional cooking styles and ingredients. 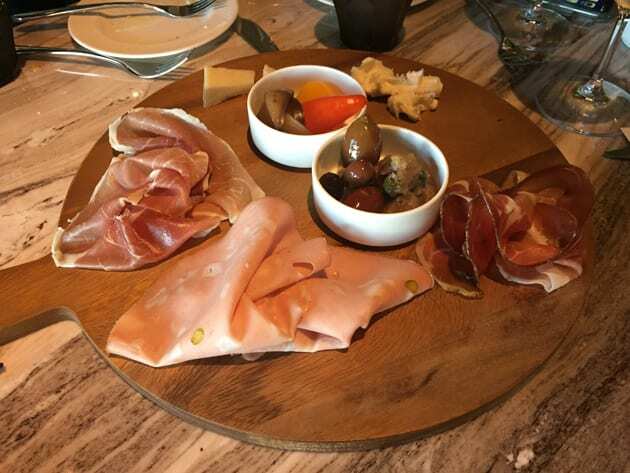 The menu fuses the talents of American and Italian chefs, who blend their gastronomic cultures with passion to create a harmonious synthesis with their recipes. Particularly notable was their POLIPO ALLA GRIGLIA, a charred octopus with fava beans, celery leaf, blood orange, and yogurt. Whenever octopus is on the menu, I have to indulge, because it is often rubbery and tasteless. Not so at No. 10. 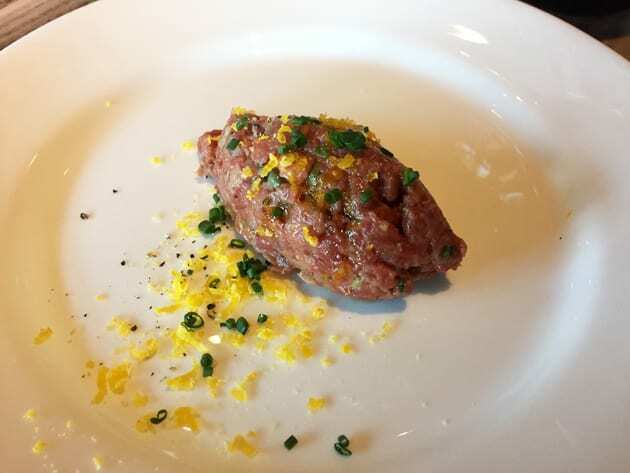 The CARNE CRUDA is another must, made with grass-fed beef, whole grain mustard, lemon juice and cured egg yolk. 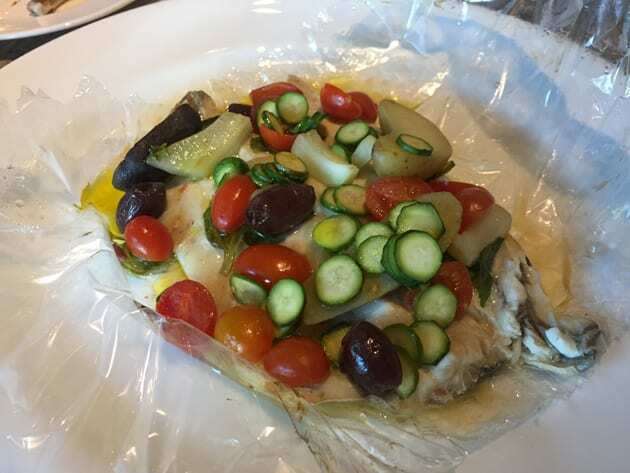 On the healthier side is the SPIGOLA AL CARTOCCIO a Mediterranean sea bass with a medley of vegetables. 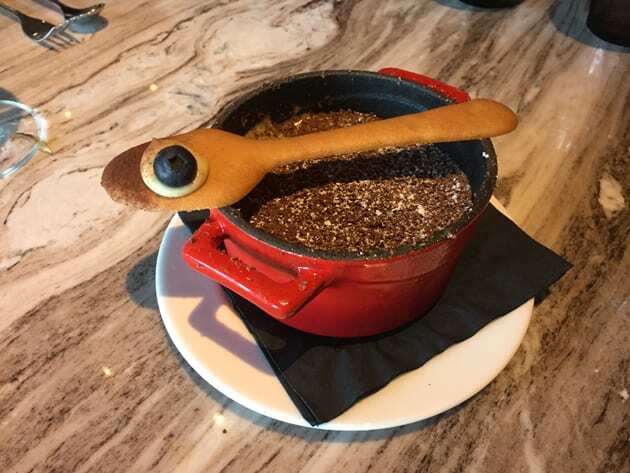 Don’t forget to save room for the TIRAMISU, demolished by my dining companions despite our being full from the gastronomic adventure. The open-air design of this Italian eatery invites people watching, and if the weather is optimum, the breezes on 3rd Street provide a welcome relief from the din of Los Angeles. Mary McGrath is the proud servant of two cats. Sparky is a spunky 20-year old Siamese. Holly, at age 14 is a beautiful Ragdoll. Mary’s work has been published in a number of publications including Newsweek, Good Housekeeping, The National Lampoon and LA Times. Note: Italian Eatery No. 10 Interior photo is courtesy of No. 10. Also note: Common to the industry, this writer was hosted to this dinner. While it has not influenced this review, The Written Palette believes in full disclosure.